Well-planned weight-loss goals can help you convert your thoughts into action. Here’s how to create successful weight-loss goals. Weight-loss goals can mean the difference between success and failure. Realistic, well-planned weight-loss goals keep you focused and motivated. They provide a plan for change as you transition to a healthier lifestyle. But not all weight-loss goals are helpful. Unrealistic and overly aggressive weight-loss goals — for example, losing 10 pounds a week — can undermine your efforts. It’s OK to dream big. Just be smart about it and use these tips for creating weight-loss goals that will help you achieve your dreams. When planning your goals, write down everything and go through all the details. When and where will you do it? How will you fit a walk into your schedule? What do you need to get started? This way you’ll be able to track your progress to see if you’re meeting your goals. For example, how far are you going to walk? For how long? How many days each week are you going to walk? Track your progress. Review your progress each week. Were you able to successfully meet your goals last week? Think about what worked and what didn’t. Then plan for how you will reach your goals next week. Set goals that are within your capabilities and that take into account your limitations. Consider your personal fitness level, health concerns, available time and motivation. Tailoring your expectations to your personal situation helps you set achievable goals. Reasonable weight-loss goals for many people is losing 5 to 10 percent of current weight. It’s a good idea to plan to lose 1 to 2 pounds a week (0.5 to 1 kilogram) — even if your initial weight loss is a little faster in the first week or two; it all averages out in the end. Timing is crucial, often making the difference between success and failure. Choose a definite start date for your weight-loss program and don’t put that date off. Be sure to account for life circumstances that might hamper your efforts, such as work outings, weddings, birthday parties, holidays or relationship problems. You may need to resolve some issues before starting. Set both short and long-term goals. Short-term goals keep you engaged on a daily basis, but long-term goals motivate you over the long haul. Your short-term goals are the stepping stones to your long-term goal. Make the most of your process goals, rather than outcome goals. “Exercise three times a week” is an example of a process goal, while “weigh 10 stone” is an example of an outcome goal. It’s changing your processes — your daily behaviors and habits — that’s key to weight loss, not necessarily focusing on a specific number on the scale. Setbacks are a natural part of behavior change. Everyone who successfully makes changes in his or her life has experienced setbacks. Identifying potential roadblocks — a big family meal or office party, for example — and brainstorming specific strategies to overcome them can help you stay on course or get back on course. Be willing to change your goals as you make progress in your weight-loss plan. If you started small, you might be ready to take on larger challenges. Or, you might find that you need to adjust your goals to better fit your new lifestyle. Keep portions smaller than your fist. It’s easy to overeat when you have too much food on your plate. Smaller portions help prevent overeating. Overeating can make health problems worse, especially if you have diabetes. One way to control overeating is to reduce portion sizes when you eat. For most foods, a reasonable portion is ½ to 1 cup – about the size of a woman’s fist. Even if your fist is larger than that, it is still a handy measuring tool that goes everywhere you go. Just keep your portions smaller than your fist. **Not all foods fit the “fist” rule. Control your hunger with filling foods that are low in calories. Foods such as soup, salad, fruits and vegetables can help fill you up without adding a lot of calories. These foods will satisfy hunger and help you lose weight. Research shows that people feel less hungry when they eat a certain volume (amount) of food. High-fiber foods, such as fruits and vegetables, can provide a feeling of fullness and also digest slowly. That helps you feel satisfied longer so you eat less. 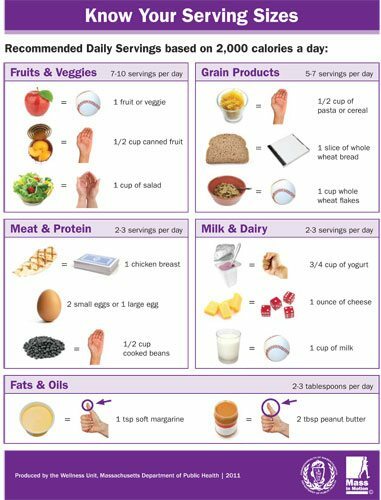 Keep track of what you eat. When you keep track of what you eat, you’re more likely to meet your food goals. Studies show that keeping a food diary or journal helps people lose weight and keep it off. Make trade-offs to reduce how much fat and sugar you eat. Foods high in fat and sugar are usually high in calories, too. But that doesn’t mean you have to give up your favourite foods. Learn to make trade-offs instead. If you want to indulge in your favourite dessert, eat a lower-calorie meal. Keeping track of all your food in your food diary will make eating the food that you like easier and without the guilty feeling. Enjoy more physical activity. As you already know, regular physical activity is important for keeping your heart healthy. Increasing physical activity may help you lose weight and strengthen your heart at the same time. With every membership, each member receives a full, personal and tailored fitness plan that helps keep them focused and helps them enjoy the exercise that they like. 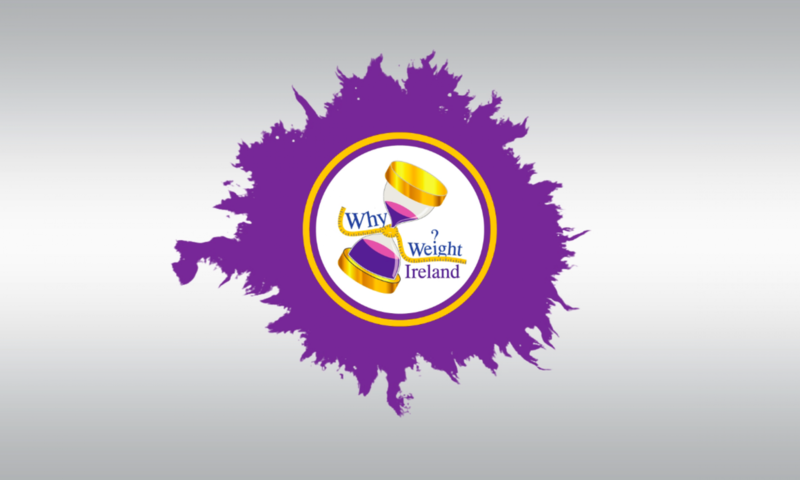 Subscribe to our Why Weight Ireland Newsletter for monthly news, tips & advice. And finally, thank you for reading my blogs and if you enjoyed it, please don’t forget to like and share the blog on Facebook, Twitter and the various other social media platforms.